A federal judge in Illinois sentenced a husband and wife last month to prison for defrauding the Illinois Department of Health out of as much as $3 million. Leon Dingle Jr., 78, was sentenced to 6 years in prison. His 76 year old wife Karin Dingle was ordered to serve 3 years. Prosecutors say that the Dingles operated a for profit company called Advance Health, Social & Educational Services. The couple also operated three non-profits called Broadcast Ministers Alliance, Access Wellness and Racial Equality, and Medical Health Association. Concerned about the rising rate of HIV and AIDS in the African American community, the Illinois Department of Health began an education and outreach effort in 2005. Ten years earlier, the Department had started a cervical and breast cancer awareness program. Like many states, Illinois relied heavily on private sector groups to provide the actual outreach services. Between 2004 and 2010, the Dingles obtained more than $11 million in grant monies from the state. Prosecutors believe that the Dingles diverted as much as $3 million into their own pockets. Instead of providing AIDS testing or breast cancer education, the money was used to purchase luxury homes, expensive cars and yacht club memberships. At least one friend of the Dingles was paid $500,000 in just one year for doing virtually nothing. The Dingles spending habits became so out-of-control that during the 2007 and 2008 football season the couple obtained two skyboxes in Chicago. If stealing taxpayer money wasn’t bad enough, the Dingles also failed to declare much of their ill-gotten gains on their tax returns. The Dingles pleaded not guilty and after a two month jury trial were convicted in December of 2014. They aren’t the only ones implicated in the scheme. Former Illinois Department of Health Chief of Staff Quinshanta Golden was also convicted for her role in helping steer grant monies to the Dingle. As a ranking state official, her sentence was even longer, 8 years of prison. Golden is the niece of Congressman Danny Davis of Chicago. Her former boss, Eric Whitaker, is a personal friend of President Obama. 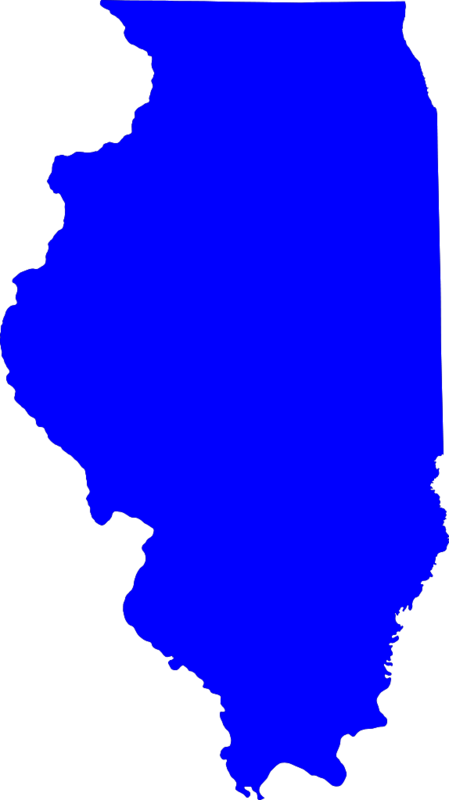 The Dingles case attracted widespread media attention in Chicago but it certainly isn’t the only public corruption case in Illinois. Ultimately this scheme resulted in 14 indictments and many prison sentences. In addition to the prison sentence, the couple must pay almost 43 million in restitution and serve a period of probation after release. Karin Dingle may also face deportation as she is not a U.S. citizen. A copy of the sentence can be found here. Prosecutors say the scheme was going on for at least 6 years and possibly longer. Not once did a whistleblower step forward. We find it difficult to believe that knowledge of the fraud didn’t extend well beyond the 14 people indicted. In our experience, many conspirators mean that many, many people knew what was going on. So why didn’t anyone blow the whistle for all those years? There are several answers. First, it appears that there was plenty of money to go around. The Dingles weren’t selfish with our tax dollars, instead they spread the wealth. We also believe that most would-be whistleblowers aren’t aware of Illinois’ robust False Claims Act. That law pays large awards to whistleblowers with information about fraud involving state funds. It also protects whistleblowers from retaliation. We also see that many people are afraid to come forward when senior government officials are involved in the wrongdoing. Where do people go to report fraud when the very people charged with protecting tax dollars are part of the conspiracy. With awards of up to 30%, anyone who had blown the whistle could have received an award of almost $1 million. Whistleblowers are hero. We understand how difficult it can be in coming forward. Our mission is to not only get our whistleblowers the highest awards possible, it is also to assist our clients in stopping the fraud and protecting them from retaliation. To date we have been quite successful—our clients have earned over $100 million in awards. or by telephone at (414) 704-6731. You can also visit our False Claims Act whistleblower page.